Tarun Gupta June 20th, 2013 Web Designing no comments. On a number of occasions I have experienced that a well-designed and beautifully created website fails to retain visitors for long that results serious downfall in revenue expectations and business engagements. One may quote a number of reasons behind the debacle but I find only one and that is a poorly designed and ill-crafted website landing page. Only an impactful landing page turns traffic into real conversion. A landing page landing page Website Designing goes all well as per expectations if it comprise every aspect and standard of landing page design. Although there is no hard and fast rule to tweak the page, yet I do quote a few pointers that may help web designers to design a conversion friendly landing page. How To Design A Killer Landing Page ? For every web designer, it is very important to ensure an easy-to-use navigation mechanism. I have observed a strange habit of advertisers to send clicks straight to the home page of the website. I would like to do this in another way. Use these targeted ads and navigate users to the most relevant pages on the website. This is probably the ideal way of implementing Web Usability. This is because when a user clicks a link he wants to reach at a destination he expects. If he feels the slight inclination from it, he jumps to the back button. At your end you may check your searches to get the idea about user search behavior. It always goes in a wrong direction if you push visitors unusually to a landing page. Before deciding the navigation path, perform an extensive analysis to find what users exactly want. Without a second opinion, it's an evident fact that images are one among the most vital important aspect of a website specially its landing page(s). If a landing page has boring, tedious and cluttered images to display, you are at the wrong side of the boat. However, choosing an image is always a tough task to accomplish. So you must keep some basic points in your mind before putting the images on the landing page. Use W3C CSS Standards to develop the relevant images. Each photograph on the page has its own story to tell. Place a photograph that exhibits certain sense. Custom images are quite fine with blogging or on social network but when it comes to the landing pages only a unique and non-custom image can be the USP. Content is another important aspect of a landing page. But unlike the page content, it should be more precise and comprehensive enough to cover the service and products to be illustrated on the page. Since you weave your content for a specific purpose, it should be unique. I do understand that you are creating the page for revenue purpose and have an idea to optimize it in that sense using SEO Services. I will however suggest to leave search engine optimization away for a while and keep focusing on the quality of the content. A CMS based website design gives unique interface to users so that they can easily place content on the website when need arises. While pitching the reader with content, make sure that it shouldn't pretend a hard sale. Rather you may elaborate other aspects of the product using text. Put solid assertions to convey and focus on how this product is going to help you or what are the business/service benefits of the product. You may also illustrate the reasons behind the product endorsement and how it is a better investment than the very next competitor. If you ask me, web designers make the biggest mistake at the time of placing a precise call-to-action button on the landing page. If experts are to be believed the selection of call-to-action entirely depends upon the products or services you are offering. If your product costs $5 or $10, customers won't have any problem to go direct with your shopping cart but in case of an amount huge enough they would like to discuss it further. In the latter case, you must place your phone numbers or a request form at the right place so that a potential buyer can initiate the communication. In case you are selling products, both “buy now” and “add to cart” buttons should be formally placed on the landing page. There is no standard list for the call-to-action buttons. You may exercise your thought process to get some that suits the landing page most. If you need to change one, go ahead. A certificate or a badge(s) plays an important role in establishing the credential of your website across the web. Let us understand its importance with a simple example. There are plenty of the service providers available in the online business spectrum who provide Web Development Services. Pitching a service is all good but the million dollar question would be why a buyer should trust you. Placing badges and authentication certificates will build trust among the users for the products you are offering. I have personally experienced considerable improvement in conversion ration of various websites with badges and valid certificates. A referral traffic can be a big booster for your branding dreams. If you develop an e-commerce website, place SSL certificates on the landing pages to give buyers a sense of security. Believe it or not, website loading speed is directly proportional to the conversion rate. Users have less time to spend on your site and when it takes more time to load, they quit. After all you are not the only link on the web where they can find what they want. Don't lose your business by relying a host with poor service. 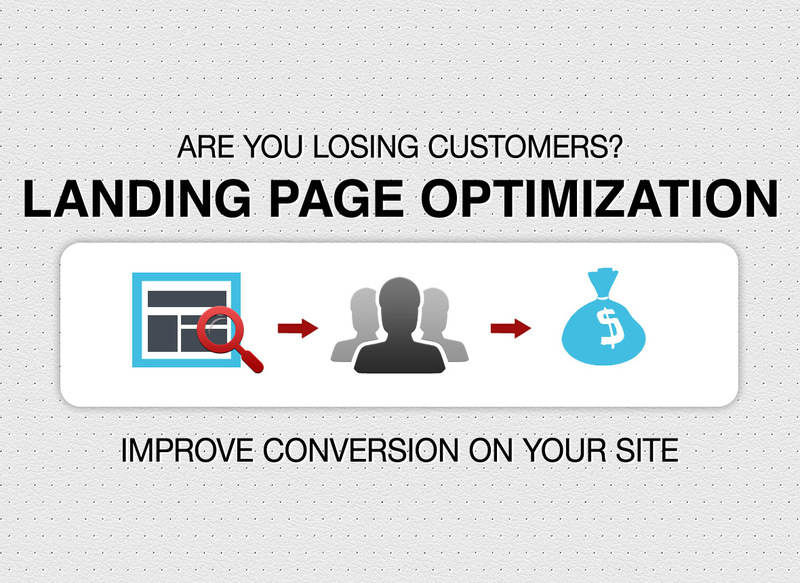 Ensure a fast loading landing page and get recognized among the customers. In the era when varied range of devices are used to run websites, it is quite unpredictable that which device is being used to browse your landing page. A mobile website design is the new buzzword nowadays. 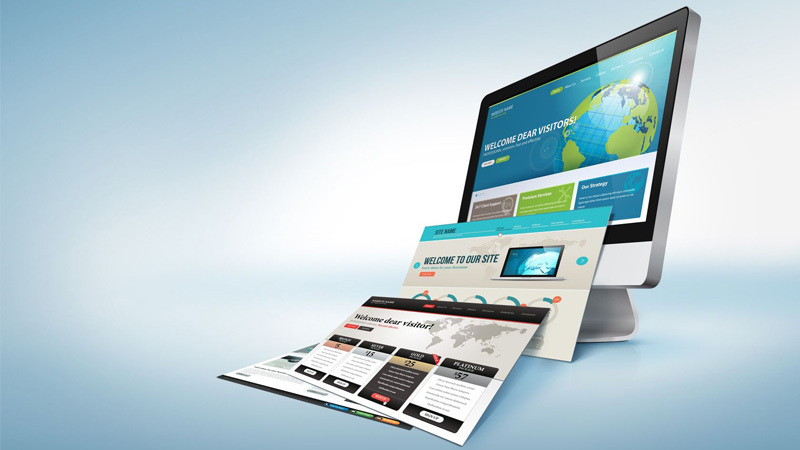 A responsive website has enough credibility to engage customers. You shouldn't miss the opportunity to design a website compatible to every device. The points mentioned above are very pertinent and offer good results if placed with a sense of responsibility. While developing a landing page, it is very important to be relevant and concerned about the products and services you need to endorse.